Sleep, it’s not just for infants and toddlers! Sleep… it always seems like we feel we want or need more, even when we get enough, is it really the right amount? Or we try to “catch up” on sleep over the weekends. How many time have you looked at a baby, sleeping away, without a care in the world and just WISHED you could sleep like that? Why can’t you sleep like that? Did you know that sleep impacts your mind, body and performance in virtually EVERY aspect of your daily life? I decided that I really want to dig deeper into this! A few friends (on the BibRave Podcast) recommended this book and I figured I’d check it out! BTW – thanks Tim, Jessica, and Andy for sharing your thoughts and inspiring me to pick up this book! 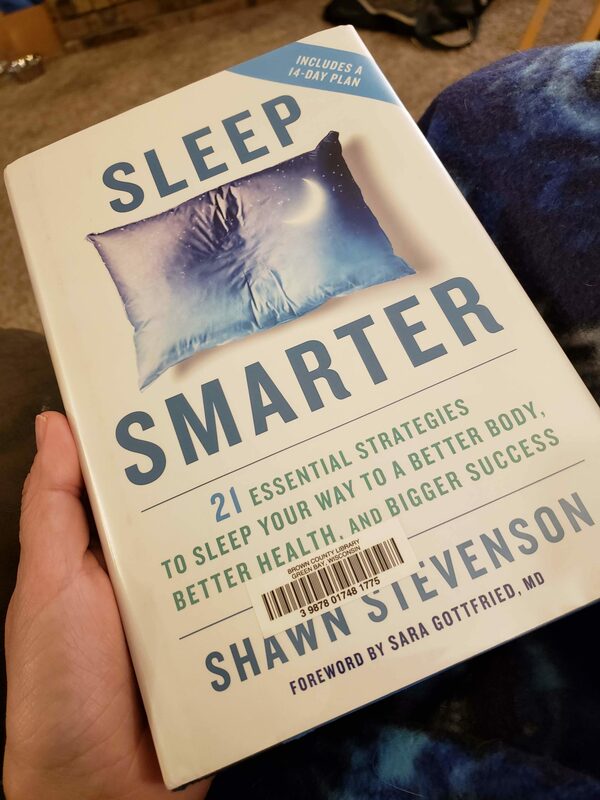 Sleep Smarter by Shawn Stevenson was quickly added to my wish list at the library and a few days later was in my hands! What an eye opening read! So many things that I never thought about when considering quality of sleep are probably having more of an impact than I realized! 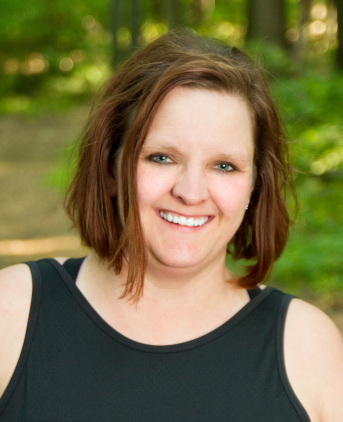 I have already started making a few small changes and recently started my own “sleep study” to see how different things can make a difference. Have you ever noticed a difference if how well you sleep (or don’t sleep) depending on the temperature in the room? Yes, there have been studies done one this and it DOES make a difference! Did you have a drink or two before bed? If so, how did that affect your sleep? Is your bedroom dark enough? Is your diet and the foods you are eating helping your sleep? or hindering it? One of the biggest things that I took away from this read (yes just ONE on them – trust me, there were MANY) is screen time before bed and giving your mind a chance to quiet itself before your head hits the pillow! Are you one of those people who watches some TV before turning off the lights? Is your phone right next to you even when you are in bed? Yes, we have a TV in the bedroom, but I don’t remember the last time it was on (probably when someone was sick and just needed to stay in bed and relax)… BUT I know that I am guilty of checking FB or playing games on my phone right up until I roll over to get some sleep! Yes, those blue lights emitted from your cell phone get the brain all excited and it take you longer to fall asleep, stay asleep and even limit that deep sleep time. As a result, you might be “sleeping” for 8 hours, but how much sleep did you really get? I have decided to start my own personal “sleep study” to see where my sleep currently is and what I can do to improve the QUALITY of the hours I get! 1. Limiting screen time before bed – this includes TV as well as computer/cellphone. So, just a warning, if you message me in the evening and I don’t reply back, I’m not ignoring you. Well, yes, actually I am! 2. Reading (yes from a real book, with real pages, not my Kindle) for 15-30 minutes each night before bed. 3. Quiet breathing exercises right before bed to help make sure the body and mind is relaxed. 4. Sleeping with an eye mask. I actually ordered one a few weeks back and can honestly say I have noticed a difference already! This will be with me every night, even when I travel! These are just a few of the things that I am going to start doing over the next few weeks and months! I’ll come back later to let you know the results! How’s your sleep? Do you have any evening/bedtime rituals that you swear by to help you sleep? Share those below! We all can benefit from a higher quality sleep! !